We highly recommend that you schedule your appointments at least one week in advance to ensure that your preferred time and treatment or service is available. All spa services can be reserved with a major credit card or previously purchased gift card. As a courtesy to other spa guests and our therapists, we require a 24-hour cancellation on all spa services. If an appointment is not cancelled within 24-hours, 50% of the scheduled services will be billed to the credit card or automatically redeemed from the gift card. This applies to the redemption of gift cards and pre-paid packages. A credit card number, advanced payment, or gift card number is required at the time of the booking. For spa packages and two or more guests coming in together we require a 48-hour cancellation notice. Groups and bridal parties will require a 50% deposit at the time of booking. We do not provide refunds for cancelled or missed appointments. Guests who do not honor their appointments are liable for payment. We recommend that you check in at the spa reception desk at least 10 minutes prior to your appointment. This gives you time to fill out or update your client information. Late arrival may mean reduced treatment time. Late arrivals will not receive an extension on scheduled services, so your therapist will be on time for his / her next appointment. Our Spa environment is one of tranquility and relaxation. Please respect all spa guests’ right to privacy and serenity. Please turn off all cellular phones while in the spa area and please keep voices to a whisper. All guests deserve a quiet and peaceful atmosphere. Some treatments may not be suitable if certain health conditions exist. 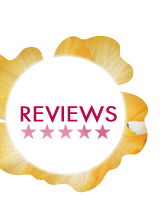 Please alert our staff of any health concerns you may have at the time of booking and again before the treatment, so that we may help you with an alternate recommendation if needed. It is of extreme importance that you notify the spa of any allergies, injuries, or illnesses before any body treatment. All medical conditions should be discussed with your physician before any spa service is received. For waxing services – please inform us if you are using RETIN-A, taking Accutane, having chemical peels or microdermabrasion. For your safety, we cannot offer waxing services. Please allow 10-14 days outgrowth prior to body waxing. We accept cash, debit cards, personal checks, Visa, MasterCard, Discover, and American Express – with proper identification. We graciously accept checks, however a $30 NSF fee will be assessed for any returned checks or returned payments. Gift cards are available and can be ordered via phone or e-mail. They can be mailed to recipient or purchaser. 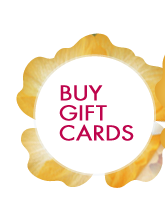 Gift cards can be purchased in any dollar amount for services, spa packages, or retail products. Gift cards are valued at the dollar amount they were purchased for. If purchaser requires spa staff to only write spa service or spa package without the dollar amount disclosed on the gift card memo, the card is valued at the dollar amount, not the service or spa package amount. All prices are subject to change without notice. Gift cards expire 5 years from date of purchase. If purchase exceeds amount of gift card, client is responsible for paying additional charge. Discounts or coupons do not apply to gift card purchases. The recipient of the gift card can apply available discount at the time of service. Gift cards are not redeemable for cash, but may be transferred or used for products. Gift cards must be presented at the time of purchase. Lost, misplaced, or stolen cards are not refundable or replaceable. Gift cards are great gift ideas for: Birthdays, Anniversaries, Mother’s Day, Father’s Day, Valentine’s Day, Christmas, Administrative Professional’s Day (April), National Boss’ Day (October), Grandparent’s Day (September), Graduation, Teacher Appreciation Week, Nurses Week, or just because! They are also in high demand for Bridal Party gifts (spa parties), Baby Shower gifts for the mother-to-be (pregnancy massage), and Dance Recitals (for teacher and student gifts). Gratuities are not required but appreciated. Gratuities are not included in our published rates. Recommended gratuity for services is 15% - 20%. We will accept returned products within 30 days of the date of purchase, if accompanied by the original receipt, for refund of the purchase price. After 30 days, a merchandise credit will be issued. 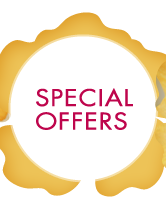 Prices for services are subject to change on our website and spa menus without advance notice. If you wish to continue the benefits of your spa experience at home, the products used in your services are available for purchase. For best results, treatment services are to be performed consecutively for a suggested period of time. Occasional maintenance is also recommended for continued results. Individual results may vary due to personal habits, individual physical conditions, and noncompliance with therapeutic recommendations. St. Michel Day Spa expresses no medical claims. All information represented is according to published articles or testimonials available upon request. St. Michel Day Spa reserves the right to refuse service to any client for improper conduct. Inappropriate conduct or language during a service will result in immediate termination of the service. We reserve the right to define inappropriate conduct. If for any reason we fail to meet your expectation with any of our spa services, please let spa management know within 24-hours of your service. This can be done via email, or calling to speak to management. All of our Massage Therapists and Aestheticians are Louisiana State Licensed.